Some of you may have remembered my post from last month when I started ranting about McDonald’s because I thought they were getting rid on Cinnamon Melts. I was so choked at that kid for lying to me and scaring the crap out of me but it turns out that he was right. I haven’t found another McDonald’s that has stopped selling them yet but apparently it is true, Cinnamon Melts have been discontinued. Tonight I stopped by a McDonald’s on my way home from rock climbing with two of my boys and we ordered six Cinnamon Melts. Yes, we ordered six because we are spoiling ourselves before they are gone… and I am apparently not the best father… I suppose that would depend on who you asked. We asked the young girl at the first window if she knew how long they were going to be selling Cinnamon Melts and she looked at me while she reached out with my receipt and told me she didn’t even know what they were. I suppose that she could be new and why promote something to new staff that might only be on the menu for another month, but why have something on the menu that a staff doesn’t even know exist? Is McDonald’s failing that seriously as a restaurant that their staff no longer even know their menu? I love the cool new TV’s behind the counter but trying to find something on the menu is near impossible now. 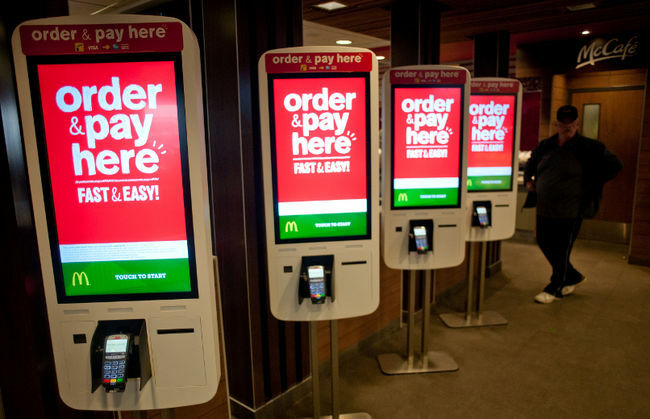 McDonald’s only seems to want you as a customer if you know exactly what you want already. They have new pre-order terminals now where I can pre-order my meal and wait for a number to be called but this isn’t speeding things up short term, and it certainly isn’t adding to the impulse purchasing that they used to have down to a science. Many people hate to say “no” so when an employee asks, “would you like fries with that?” many simply say yes. Since McDonald’s employees started up-selling their fries, sales have boomed. McDonald’s now sells 9 million pounds (4 million Kilograms) of fries… every day. Right now those staff are asking if you would like a free small coffee with every order. If they asked every customer for a month, if they would like Cinnamon Melts with their order, they would sell a million orders and hook another 400,000 customers on this delicious dessert. 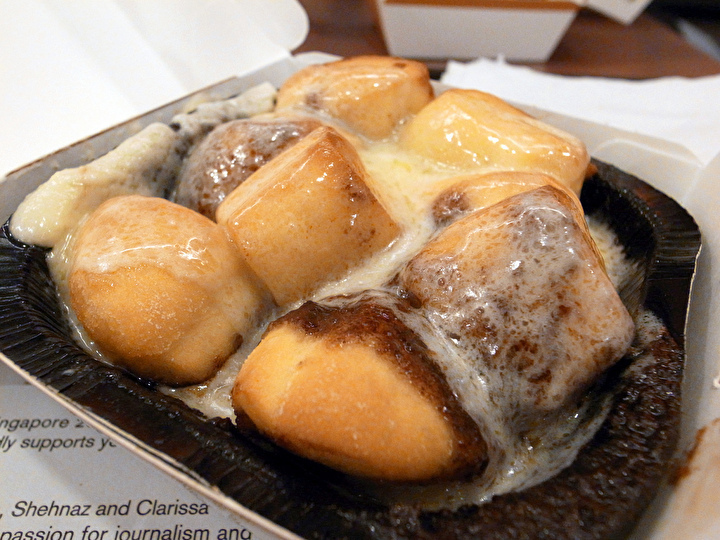 Cinnamon Melts would be here to stay. Currently this is the only reason I go to McDonald’s so please help me or I will be forced to start convincing my kids that Wendy’s is better… I suppose Frosty’s are less fattening than Cinnamon Melts anyway. Please sign this petition and help me keep these tasty little desserts on the McDonald’s menu!!! Please comment below if there is something you miss dearly from their menu… like McDonald’s Pizza. Matt and I cannot be the only people that loved their pizza! I have called to two McDonalds after looking for a review of these things, and they do indeed have them in the Indiana area. I asked about them being discontinued, but they were unaware of that happening in any other stores. I guess it depends on the market area. That makes me very happy… for people from Indiana at least. Not so much for those of us to the North though. I do not believe they got rid of the Cinnamon Melt unless they changed their mind. I had it in a McDonalds on the outskirts of Birmingham, AL, at the end of April 2018. It was on the way to OK and on the way back home to Atlanta. I had it there as well the week of Thanksgiving in 2017. I have not checked here in Atlanta since I do not eat out very often and my nearby McDonalds is closed temporarily for upgrades but will check. Anyway, the Cinnamon melt is an improvement over that previous Cinnamon Rolls(?) that seemed more bread like. The Cinnamon melts seems to have more Cinnamon in it then the previous version. Thanks for the comments Robert… now there are a couple more states on my hit list,,, but likley not this summer as I will be stuck in Albert and California most of the summer. but I have never been to OK or AL but this is a great reason to check out both. And I agree that the Cinnamon Melts are the perfect blend of dough and cinnamon. you are not alone Emma, there are a ton of people out there who agree! I will do anything to get these back… my wife makes them for us now but it was so much easier to pop through a drive thru on the way home. They are divine. I just moved from PA, where they were readily available in August, to Arizona. When I tried to order them here, they were clueless. It was a sad, sad day for me. Sigh. It has been over a year since I have met anyone at the drive thru who even knew what they were… consider yourself lucky if you tasted them this past summer. Enjoy the Arizona sun! It’s August of 2017 and I’m still pissed. Cinnamon Melts & Crispy Ranch snack wraps (with no lettuce and light on the ranch please) are the only things I order at McD’s. 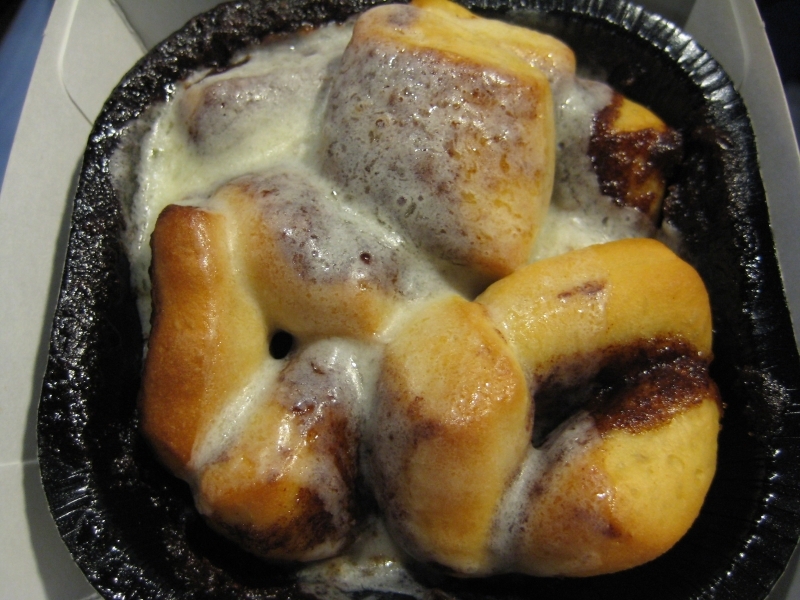 About a week ago there was a picture of cinnamelts on our menu…..I freaked out a lil bit. You’d think after a year I’d be over it…..no. I’m not. Apparently they think it is okay to tease us. For a short instant of pure joy and admiration when pulling up to the drive-through speaker to order when I saw the slideshow graphics of menu idems on the screen was the beloved cinnamelt in HD. Only to find out it wasn’t brought back when I tryed ordering one. That should be illegal… false advertising maybe? For sure you should get a free meal for teasing you like that. What city are you in that they are still advertising them? I haven’t seen them on a menu in a long time now. Next time you are at one of those locations I would love to know what they say about when they ordered them last… do any other Dallas sites carry them still? If this is true I am going to apply to Mcdonald’s Headquarters, or get a degree in food mixology and chemistry, become a head Mcdonald’s food designer and recreate them. They are literally the best cinnamon dessert, hell, one of the best desserts PERIOD of all time. Most people didn’t even know they existed when they WERE on the menu. HOWEVER ****** IMPORTANT. READ.. ******** While I’ve noticed Cinnamelts haven’t been on the menu at drive-thrus and online for a WHILE now, I just ordered them a week ago (I live in Ocala, Florida. This post is from April 22, 2017) and I got them, no problem. So maybe it’s a secret menu now, like Starbucks had, which would be kind of awesome cause they’d always be in stock, OR (dun dun dunnnnnn) they really are leaving and this Mcdonald’s just happened to have some left in stock. I seriously hope they don’t leave. I mean, hell, I’m 24 years old and I’m writing a review about a friggin’ Mcdonald’s product at 1am on a Friday. PLEASE PLEASE PLEASE PLEASE DONT GET RID OF LITERALLLY YOUR BEST ITEM ON THE MENU. I LITERALLY ENJOY MCDONALDS CINNAMELTS MORE THAN TACOBELLS CINNABITES. THAT IS HOW FREAKIN GOOD THEY ARE1!!!! I agree with you very much and welcome your expertise once you get a job designing food for them. In the meantime, one has to wonder what these things are made of that they discontinued then on October of 2015 and a store in Florida still has stock that is not expired. How long do these things actually last? Very good point, lol. I mean I’m SURE they’re frozen, since they’re always scolding hot when I get them. So it’s possible they still just had them somewhere and maybe the person didn’t know they were discontinued. Is it possible they’re only discontinued in certain states? I haven’t heard of a single state that still has them in abundance so I am pretty sure that it is a company-wide decision. The fact that this one post has consistently gotten so many hits each day for well over a year speaks volumes too. I talked about it in my 2016 wrap-up but it will be a hot topic in the 2017 post as well… it simply hasn’t stopped getting hits. In that post I mentioned that it had over 12,000 views. Six months later, it is over 18,000. It was written in November of 2015 and peaked at 2000 views a month in October of 2016 but it has never gone below 1000 views a month in 2017 yet. People miss these things and McDonald’s should listen. SOOO NOT THE SAME. The cinnamon bites are amazing, I don’t disagree, but they are NOTHING compared to these cinnamelts. You’ve obviously never had them. I’m so very sad and super duper upset right now!! After suffering a stroke which caused other serious health issues, I’ve been on SS disability since 2010 and unable to drive. Obviously my funds are minimal, I only get out of my apt once/mo when I have ride to my dr. I rarely have the opportunity to eat out & when I do, I expect it to be perfect. Today my son called to say the was coming to visit & said he wanted to bring breakfast as a treat from McDonald’s. He asked what I wanted, I ordered a biscuit but the main thing I wanted was the CinnaMelts! Actually asked him to get me 2 orders so I could heat one up tmrw. I was extremely disappointed when he was told they were discontinued! This may have to be the last time I’ll be a patron of McDonald’s. There are many other places to choose from and I think it’s time for a change. Please bring them back or you’ll lose me and this entire family as customers. Thank you for listening. 2 weeks ago I saw it being advertised for the first time at my local mcdonalds and was stoked as cinnamon rolls style products are my favorite but when I finally went there a week later it didn’t exist. I’ve also noticed that mcdonalds quality and health codes seem to be dropping big time as I’ve been constantly been getting terrible service and raw chicken nuggets which I’m not gonna let my daughter eat obviously. raw chicken mcnuggets just sounds wrong on so many levels… almost as bad as cancelling cinnamon melts. So many people have already covered pretty much of how I feel about the cinnamon. The only reason to go to McDonald’s. Well coffee too. I was so sad, disappointed and dumbfounded when I found out they are discontinued. What can be done to get them back? Realistically? Nothing. But sign the petition and go to every McDonalds you can find and ask for cinnamon melts. Tell the person at the window to tell the manager that he just lost a customer because they don’t carry cinnamon melts any longer… then drive away. do you not have cinnamon melts at a different mcdonalds? I pull into every empty drive through I see… ask if they have cinnamon melts… if they so no, I say thanks and just drive through. I will miss Cinnamon Melts. I would eat them all the time and wash them down with an Ice Mocha. They made for many great breakfasts. I also liked how they were available all the time unlike other breakfast items back in the day. Sometimes I’d order one as an after work snack. There is no reason for me to go to McDonald’s anymore now. My business has switched to Dunkin’ Donuts and Cinnabon. i am actually shocked to hear of how many people ate nothing but cinnamon melts at mcdonalds. Omg just heard this today before work. I’m so sad!!! I cannot believe you got rid of the Cinnamon Melts – it was our weekly breakfast on Sat. Mornings. Now it’s gone. What are you thinking? Do you think the sweet rolls you replaced the melts with are good? They are NOT. BRING BACK THE CINNAMON MELTS AND ORIGINAL APPLE PIES. Why have you messed with your menu & new turnovers? Shame on you! Now I don’t stop in to McDonalds any more. You sound almost as upset at i was when I heard… sorry to hear about your pain Susanne. You are absolutely right on every point. I have been getting coffee and sometimes food at McDonald’s forever and was not aware of these treats until today when I got coffee at a McDonald’s in a different area. I Googled it to find out what they were, and they are amazing! I hope the execs read your article and do all that you suggest. Cinnamon Melts Forever!!! Thanks for backing me up Theodore. Since this blog post has gotten more views month over month since I wrote it, the possibility of someone at McD’s HQ seeing it are going up every day. I will cross my fingers. I do miss them dearly. I ate one every single morning and I loved them then one morning they are gone. PLEASE BRING THEM BACK!!! where are you from? Most cities still have them somewhere… stock seems to be dwindling very slowly. I love the cinnamelts!!!!! McDonolds read this if you stop selling cinnamelts I will stop going to your restaurant forever. Save the Cinnamelts!!!!! Gabriel, I can’t even begin to tell you how much I appreciate the love these tasty snack are getting! There is another blog post coming about them! I have always loved cinnamelts so I was pissed when they were discontinued. However, I found a knock off version at Wal-Mart called Monkey bites. Check them out! I only wish Kent. These things must pack well in a freezer but as supplies dwindle, more and more locations run out and thousands of people hit the Internet to figure out what happened. My blog post views have gone up every month and continue to do so. If it wasn’t so personally painful I would be able to enjoy it more. My husband went to McDonald’s the other day and ordered 4 Cinnamon Melts and they told him they were discontinued. He proceeded to order his sausage McMuffin and they said you want 4 right? He replied no just one you lost that order! McDonald’s you screwed us for the last time! Welcome to Wendy’s can I take your order? I miss the veggie pizza with cornmeal dusted crust. It seemed quite healthy at the time. I’m not sure if it was. It was the 90s and I don’t believe nutritional data was available. I don’t believe that anyone cared much about nutrition in the 90’s… i miss those days. I can’t say that I ever had or would have thought to ask for a veggie pizza but that crust was amazing. I wish there was a way to get the patent on these little morsels so that I could re-brand them and sell them in grocery stores. I think this could be the start of a whole new income stream for McDonald’s and I for one would absolutely go to Safeway or Walmart to grab a case of cinnamon melts every month! Man,I’m Muslim and the only reason I’d ever go to McDonald’s is for cinnamon melts, now with them gone I have no reason to go near a McDonald’s. Good job. I feel your pain… except for being a muslim… that brings on more pain that I feel bad for you about… I honestly have only one word for you, and you can’t understand how much pain it brings me to say it… bacon? You should go blow up a McDonald’s for us and tell them it’s a jihad for cinna melts. Go find a blog post I did about religion and go to town with your comments.